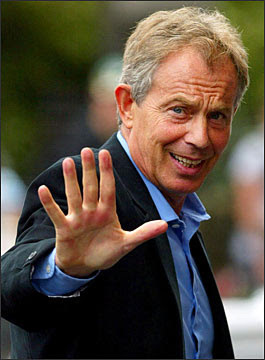 Tony Blair (pictured above with Dame Tammi Grey-Thompson, foundation trustee) has always been proud of his north-eastern roots and has focused his time, money and his world recognised brand sorry I mean the name to many aspects in this area to develop its people and facilities. This foundation does just that!! I personally believe he is under-selling the foundation with this statement and that providing subsidised coaching for people in the area which in turn allows the youngsters of today (maybe the sportsmen/women of tomorrow) with coaches dedicated in helping them achieve the levels they wish to ascertain. Courses are available across a spectrum of sports, predominantly, football, athletics, rowing, cycling, basketball and tennis (maybe Tony needs lessons himself on the evidence above) and all the successful applicants need to give in return is 12 hours coaching within the local community. The costs are amazingly subsidised by 50%, with a wide variety of courses on offer from a one-day introductory course to becoming a fully fledged athletics coach. The question now is; how many of my readers based in the north-east of England are going to take advantage of this fantastic and generous offer courtesy of Tony Blair and his excellent sports foundation. Once my knee recovers, I know I for one, will certainly be delving deeper and making a firm enquiry. 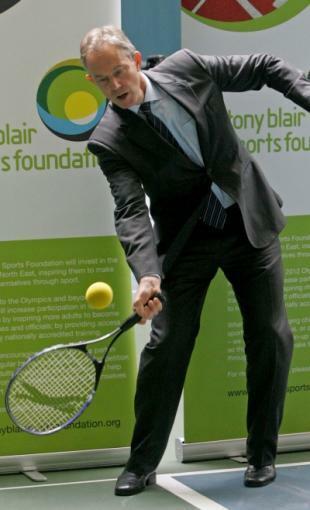 Head over to the website at http://www.tonyblairsportsfoundation.org/sports/ and have a look and should you apply, let me know your thoughts and outcomes.